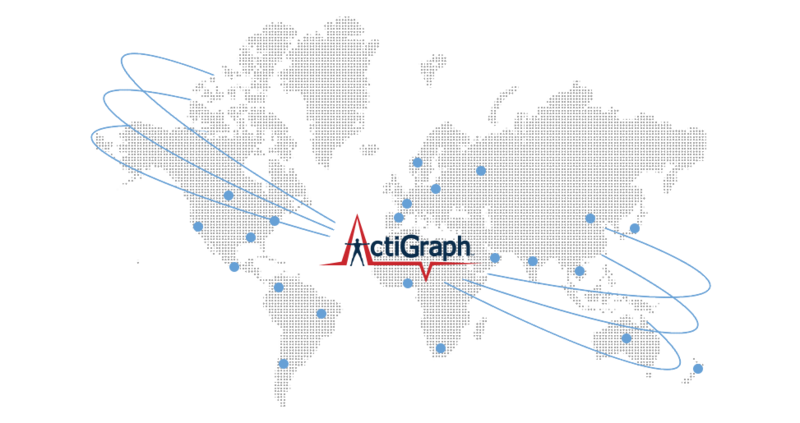 ActiGraph's monitoring solutions have been used in thousands of academic and government-funded health research studies in more than 85 countries. 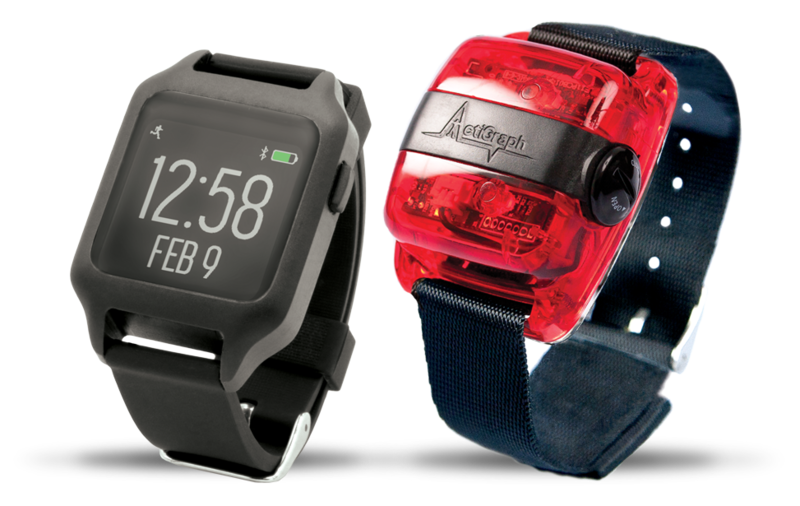 ActiGraph activity monitors have undergone extensive independent validation testing and are consistently rated among the most accurate and reliable devices of their kind. As digital technologies evolve at lightning speed, we strive to deliver innovative new features and tools to maximize your research capabilities, while steadfastly preserving our scientifically validated core measurement technology. ActiGraph’s flagship ActiLife software is the foundation of our technology platform and was developed in collaboration with the academic research community. Featuring a wide selection of independently developed and validated scoring algorithms and data processing tools, ActiLife offers maximum analytic flexibility and the power to handle large volumes of high resolution raw actigraphy data with ease. The new CentrePoint software platform leverages cloud, wireless, and mobile technologies to solve many of the practical and logistical challenges associated with large scale, multi-site studies. 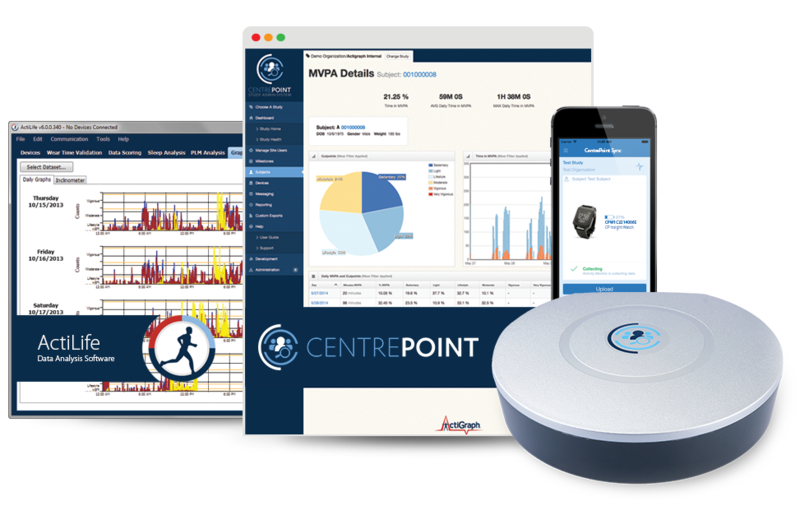 Studies are preconfigured to simplify deployment and reduce setup errors, and subjects can upload data remotely using the CentrePoint Data Hub or a mobile device to provide the research team with near real-time information about wear compliance and subject outcomes. As the most widely used research-grade accelerometry monitoring system in the world, implementation of ActiGraph solutions within your research protocol means that collected data are comparable with hundreds of large scale, high profile studies conducted around the world, including the U.S. National Health and Nutrition Examination Survey (NHANES), the Raine Study, the Women’s Health Study, and the NAKO German National Cohort Study. 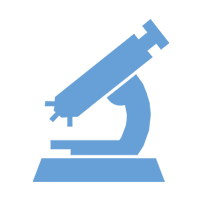 Questions about our Health Research solutions?